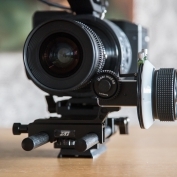 Follow focus is one of the best and most used accessories I have for my camera rig. It’s essential when you need to do a difficult rack focus on a complicated shoot. Normally a dedicated focus puller would do the focus pulling for you while you concentrate on composition and camera movement. I’ve rarely had this luxury but it’s something I’d highly recommend. I do feel that it’s a really good thing to have a follow focus even when working alone. 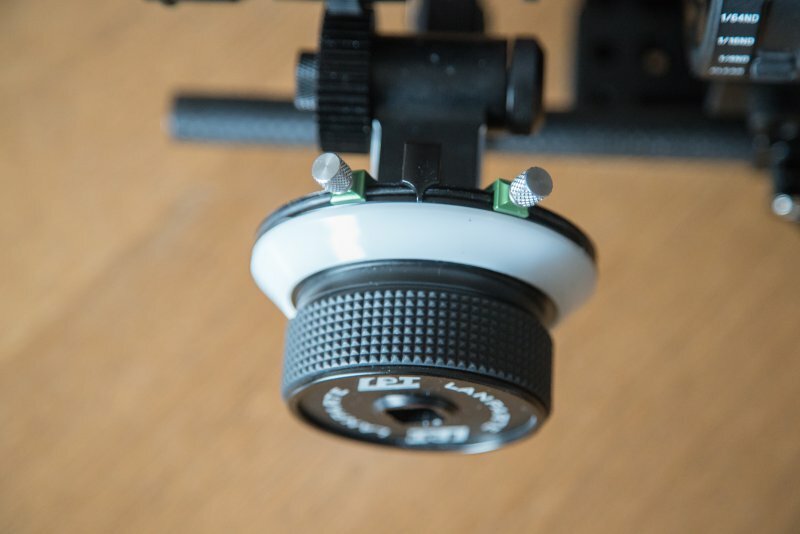 I don’t have much experience with many follow focus units so please keep this in mind when reading this review. My first follow focus was the cheapo D-Focus version 2 and I also briefly owned a Gini Rig follow focus. For the price the D-Focus is decent, it’s plastic and not very sturdy but does the job. 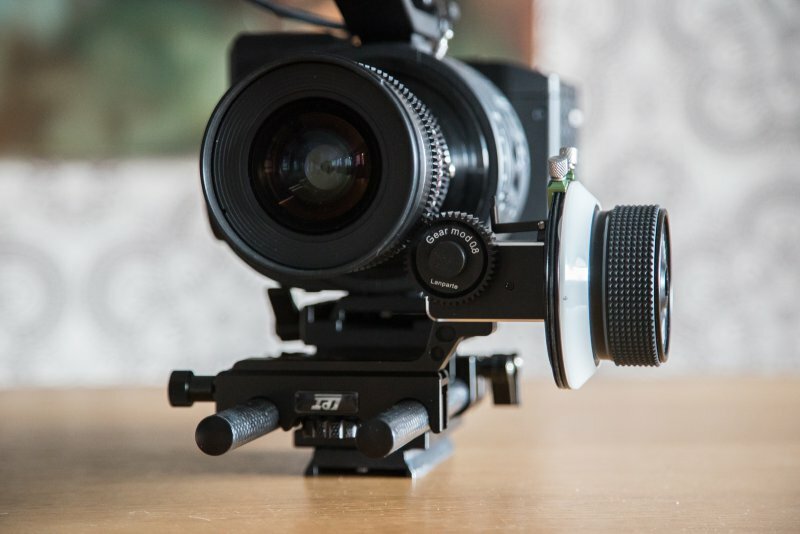 The Gini Rig follow focus I would not recommend at all. It’s all metal so it’s a big problem during the winter and also it’s really, really big and heavy. It is well constructed though and probably a decent unit barring these limitations. I work mostly with still lenses and not dedicated cine lenses. I’ve never even actually tried really proper 35mm cine lenses so my experience is limited to Canon FD, Canon EF and Samyang lenses. 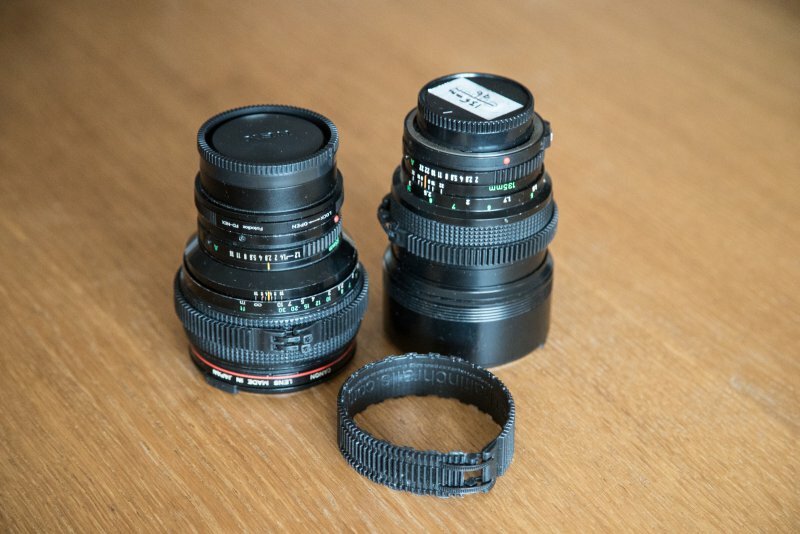 Still lenses breathe (the field of view changes a bit when focusing, which is minimized with cine lenses) but to be honest I haven’t found this to be a huge issue. The biggest problem is the short throw of still lenses, you need to only turn the focus a bit and you’re already changed the focus by a lot. 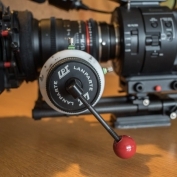 On the Lanparte Follow focus there are different sized gears available to help with this. 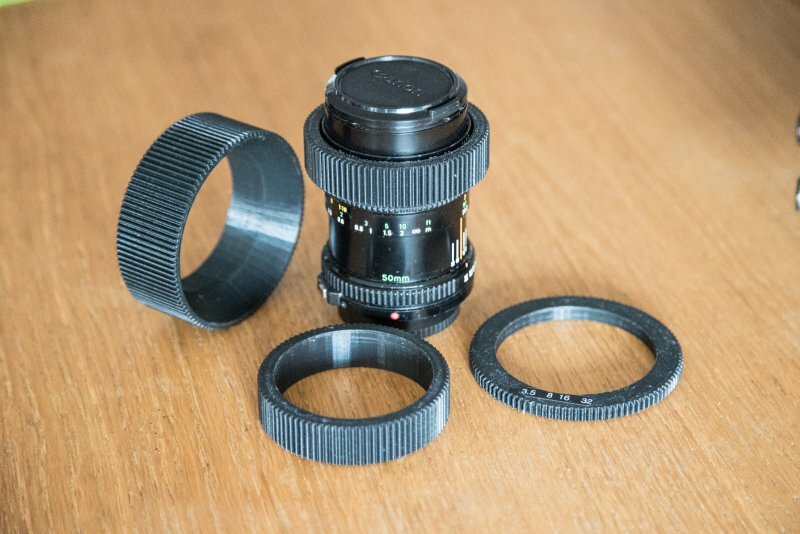 I ended up purchasing the Lanparte FF-02 follow focus for around 350 euros and have found it’s worked really well for me. It’s good size, not too large, not too small. You can fit a seven inch monitor on the left side of the camera along with it. It’s very good build quality and can take a beating so you don’t need to be too careful with it. FF-02 is the one with quick release mechanism and FF-01 you need to slide onto the rods. I really like the quick release function, anything that makes building a rig quicker! The few things that have bothered me with the Lanparte is that it’s not possible to reverse the gear without an expensive extension arm. 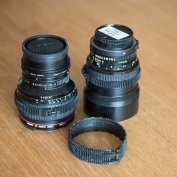 Follow focus reversing gear ring as Lanparte calls it costs 150 euros making the price quite a bit steeper. The normal way a follow focus travels is when you turn it clockwise it focuses to infinity and anticlockwise it focuses closer. What this means that I feel I’m turning the follow focus away from me to focus closer. I’ve always found this to be a bit unintuitive and have preferred the “wrong” direction. Even after a year with the follow focus I find myself hesitating which direction to turn the wheel. I’ve solved this with a poor mans reversal unit… Putting on an focus lever (a speed crank) so it’s facing down and thus pulling the lever towards myself focuses closer and pushing it away focuses to infinity. My brain likes that! I also have two gear wheels for the Lanparte, a 43 tooth (comes with the follow focus) and 54 tooth, these help with making the racking the focus longer or shorter. Especially helpful with some lenses that have a really short throw and you need a bit more accuracy. To be honest I’ve only really used the one that comes with the unit so I don’t see it’s a necessary purchase. 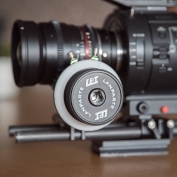 You also need gear rings for the follow focus. I’ve found one brand that I particularly like. 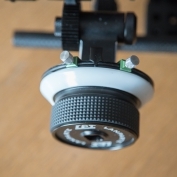 Halfinchrails makes plastic focus gears that are attached with zip ties around the lens. They might seem a bit fiddly but I haven’t found anything negative to say about them and have used them a lot. You just put them on and forget, the lens fits in your bag without any hassle. I also have one lens (Canon FD 50mm f3.5 macro) that has a focus throw of more then 360 degrees. 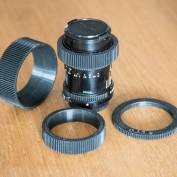 These types of lenses require a gear ring that can revolve a full circle without impediments. Follow Focus Gears 3D prints gear rings that can do this. I bought one and so far it’s worked well, I’ve only used it a few times though so can’t really testify to their quality as of yet. 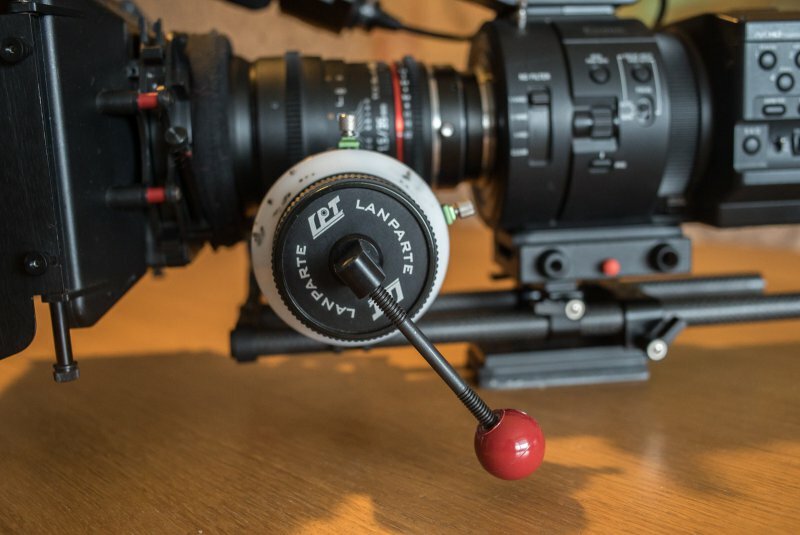 The most awkward and time consuming thing on the Lanparte follow focus I find are the hard stops. Sometimes they stick to the rubber that holds them in place when screwed close. You can even detach the rubber from the follow focus if you accidentally try to move the hard stop and have not unscrewed it enough. It’s a small gripe but still annoying. I’ve also noticed that in cold weather the follow focus is a lot stiffer. 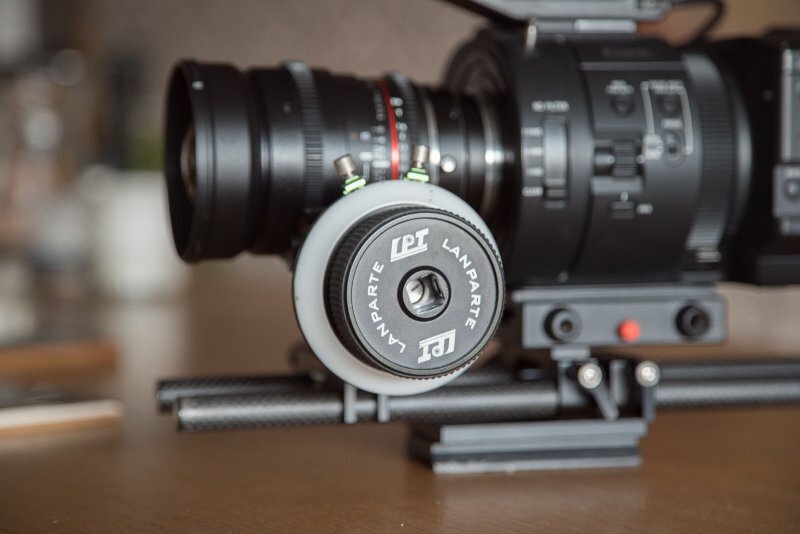 Despite this the Lanparte follow focus has never let me down during the year I’ve owned it. I’ve had it with me on well over 60 shooting days which means 8-14 hours of use every day. It’s a solid and durable piece of equipment that I can recommend.